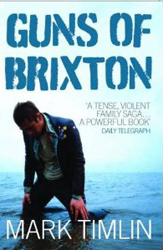 Guns of Brixton is an extensive rewrite of Mark Timlin’s previous book Answers From The Grave. It has a new ending which means the possibility of a follow up is highly likely. Please visit the Anwsers From The Grave page for the full plot synopsis.